INVESTIGATORS are attempting to recover a body located in the wreckage of the plane that was carrying Cardiff City footballer Emiliano Sala and pilot David Ibbotson. 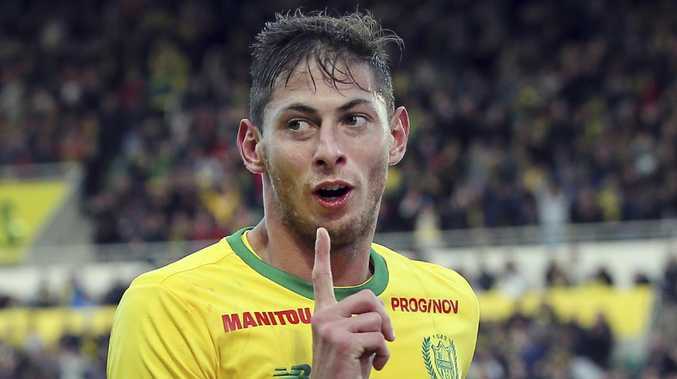 The missing aircraft was located off the coast of Guernsey on Sunday evening after disappearing on January 21 as it travelled from Nantes in France to Cardiff, where Sala's English Premier League club are based. The plane is approximately 67m underwater. The Air Accidents Investigation Branch confirmed on Monday that a body had been detected in the plane by remotely operated vehicles scanning the site. "We are attempting to recover the body. If we are successful, we will consider the feasibility of recovering the aircraft wreckage," an AAIB spokesman said. "Strong tidal conditions mean we can only use the remotely operated vehicle for limited periods each day and this will mean that progress is slow. "Regardless of the results, we will not be making a further statement until the families have been informed." The plane had requested to descend before it lost contact with Jersey air traffic control. An official search operation was called off on January 24 after Guernsey's harbour master Captain David Barker said the chances of survival following such a long period were "extremely remote". Mr Mearns - who is known as the "Shipwreck Hunter" - and his team found the plane within two hours of commencing their search. He told the Press Association the discovery had been so quick because the team had been looking for a static crash site rather than working in a dynamic environment searching for survivors. "No one should walk away with the impression that the coast guard and also the Channel Islands air search did anything other than a professional job," he said.